We all want comfort when it comes to dressing up, and this combination of a brown leather bomber jacket and DSquared 2 knitted gloves from farfetch.com is a wonderful example of that. Tap into some David Gandy dapperness and complete your look with tan leather brogue boots. We all getup for comfort when it comes to dressing up, and this combination of a brown check overcoat and DSquared 2 knitted gloves from farfetch.com is a practical illustration of that. Brown suede desert boots will instantly smarten up even the laziest of looks. 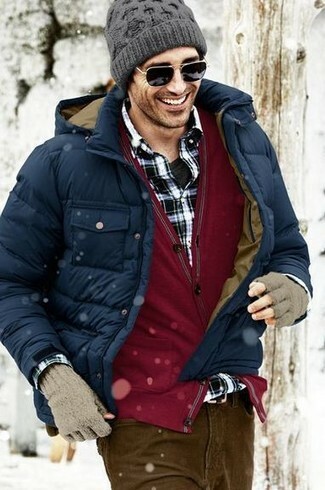 If you prefer functionality dressing when it comes to your personal style, you'll love this on-trend combo of a navy puffer jacket and DSquared 2 knitted gloves. If you prefer practicality dressing when it comes to fashion, you'll love this simple pairing of a black fur coat and DSquared 2 knitted gloves from farfetch.com. Black athletic shoes work spectacularly well here. 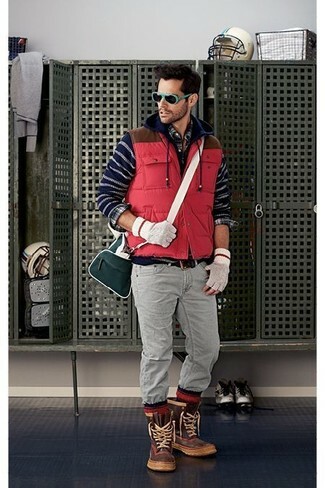 We're all seeking comfort when it comes to dressing up, and this combination of a red quilted gilet and grey wool gloves is a great illustration of that. 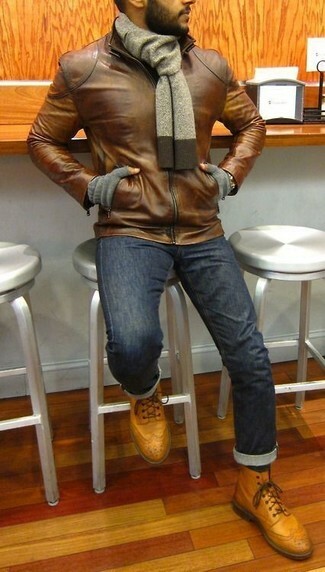 A cool pair of brown snow boots is an easy way to upgrade your outfit. 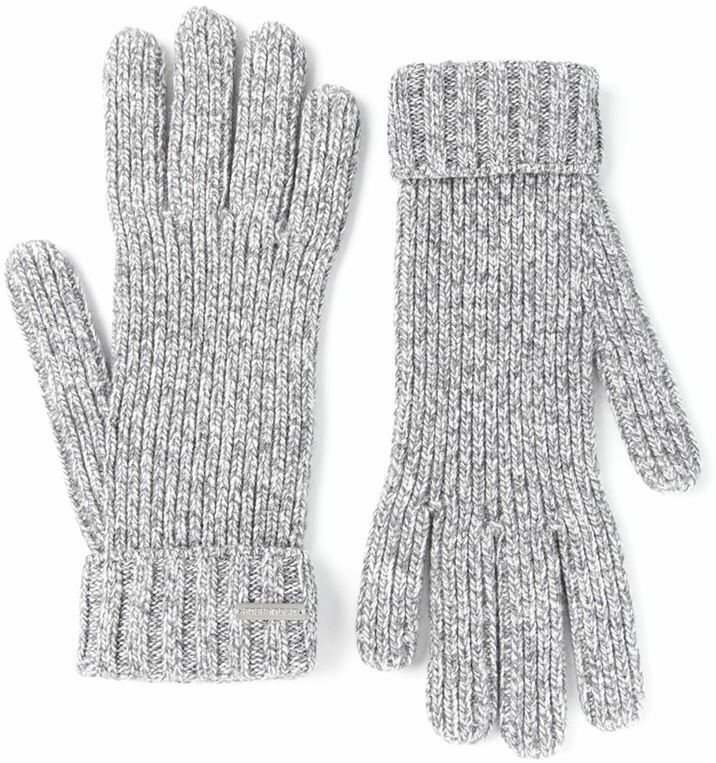 If you want to look cool and remain cosy, reach for a navy quilted gilet and DSquared 2 knitted gloves from farfetch.com. Choose a pair of dark brown leather casual boots to take things up a notch. 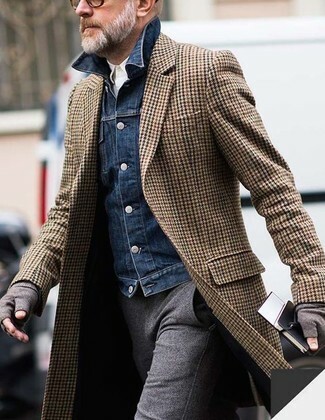 If you're all about relaxed dressing when it comes to fashion, you'll love this easy combination of a brown gingham overcoat and DSquared 2 knitted gloves. To add elegance to your ensemble, finish off with grey suede desert boots. 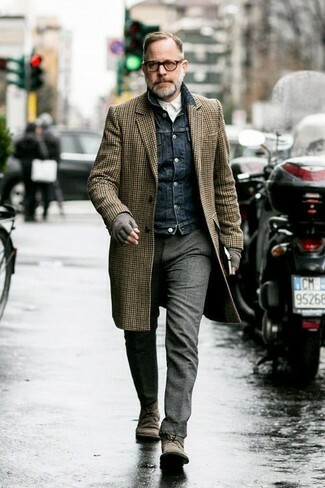 A camel overcoat and DSquared 2 knitted gloves are a great outfit formula to have in your arsenal. Look at how well this getup is complemented with white leather low top sneakers. 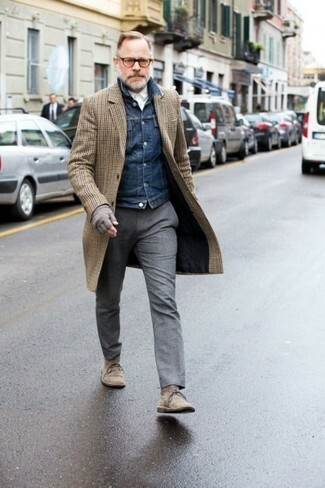 If you're a fan of comfort dressing when it comes to fashion, you'll love this stylish pairing of a brown herringbone overcoat and grey wool gloves.